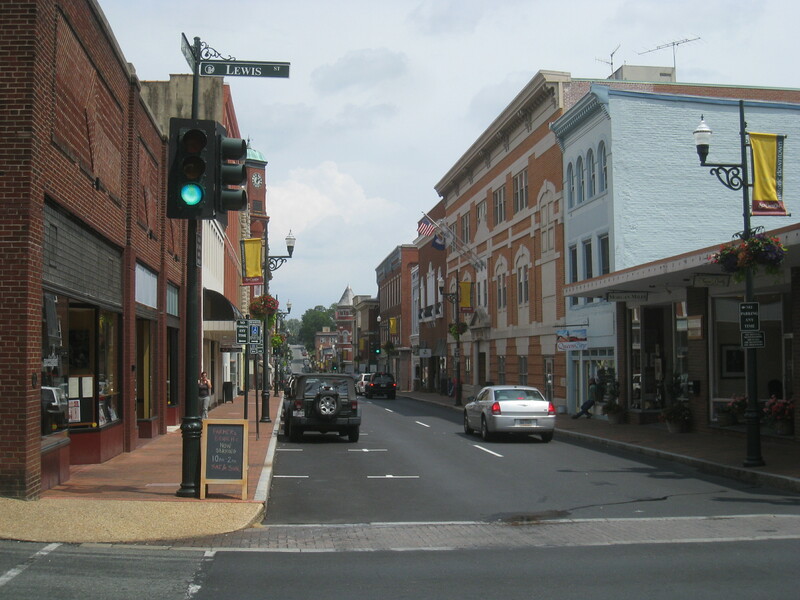 For the last several days and the next week or two, I’ve temporarily transferred to the city of Staunton, Virginia. Located twenty-five miles or so south of Harrisonburg, Staunton is a place rich in both history and culture. Not only can you find places like the Frontier Culture Museum and the American Shakespeare Center, but also Wright’s Dairy-Rite and Woodrow Wilson’s birthplace and Presidential Library. If you are wondering how Wright’s fits in with the rest, like Jess’ Quick Lunch in downtown Harrisonburg, it is an iconic restaurant that serves as a gathering place for politicians and political campaigns over the decades. On Thursday, I had the chance to attend a meeting of the Staunton branch of the Shenandoah Valley Tea Party Patriots. Although I had hoped to visit with this group earlier, the fact that so many of their gatherings took place at the same time that the Harrisonburg group met, I felt I had to wait until their schedules were separated. Speaking of such matters, during that same evening Senate hopeful Jamie Radtke was meeting with the Page County branch. I would‘ve loved to have gone there as well, but I still haven’t found the trick to be two places at once. Besides electing a Staunton representative to the SVTPP board (more on this issue later), the main highlight of the event was Karen Miner Hurd and her Virginia Tea Party Alliance PAC. A relatively new organization in Virginia politics, Ms. Hurd’s PAC seeks to transform Virginia politics by not merely electing Republicans, but by electing Republicans who embrace the conservative ideology. While wearing a pin declaring her disdain for RINOs (Republicans in name only), she ardently advocated challenging the Republican establishment types who have previously and continue to water down the Republican brand. Given my frustrations with lackluster and non-conservative candidates (like John McCain in 2008), I can certainly appreciate the purpose of the VATPA. After all, electing Republicans is not of much value if they govern and legislate in more or less the same fashion as the average Democrat. If some Virginia Republicans steadfastly refuse to adhere to the principles outlined in the RPV Creed, then why should conservatives support their election or reelection? After Karen Hurd spoke, Senator Mark Obenshain (R-26) offered a few thoughts to the audience as well. He regaled us of his early days in the Senate when he butted heads with then Senator John Chichester, a fellow Republican. As you may recall, Chichester, a villain to many fiscal conservatives, helped pass one of the largest tax increases in state history. I always appreciate the chance to hear Senator Obenshain speak and, as you already know, given his voting record and sponsored legislation, I believe him to be one of the best, if not the best, member of that body. One does hope that should the Republican regain control of the Virginia Senate this year that men of Obenshain’s caliber will lead the body as opposed to business as usual Republicans. Getting back to the main focus of this article, given their commitment to our shared principles as well as a determination to influence local, state, and national elections here in the Commonwealth, you can be sure that I’ll be eagerly watching the activities of this new PAC. I’ll provide more details as they become available. I have no other news from Staunton at this time. if you happened to be in the Harrisonburg area, I hope you had a chance to meet with the Ron Paul group. I would have loved to have gone myself, but given the high price of gas, I had to sit this one out. Until next time, just remember; stay informed and stay active!